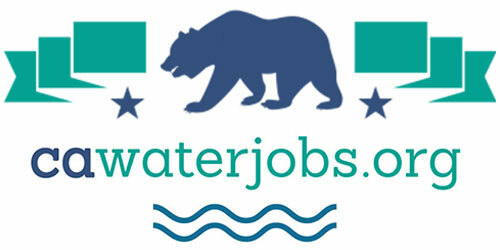 The Delta tunnels plan, California Water Fix, the Bay Delta Conservation Plan – it’s been known by all of these names plus a few others, some of them unprintable, but they all refer essentially to the same project: The Brown Administration’s controversial plan to route water from the north Delta to the south Delta through a pair of tunnels and deliver it to the existing facilities in the south Delta. The Delta tunnels project state-given name is California Water Fix; it’s a trimmed-down version of its predecessor, the Bay Delta Conservation Plan (or BDCP), which has been in the planning stages since 2006. Documents for the Bay Delta Conservation Plan were originally released in December of 2013; the documents underwent a 6 month public review period which garnered over 12,000 public comments. In response to those comments, the project underwent several changes and on July 9, the Bureau of Reclamation and the Department of Water Resources released revisions to the plan in the form of a Partially Recirculated Draft Environmental Impact Report/Supplemental Draft Environmental Impact Statement (RDEIR/SDEIS). The newly released revised documents represent a change in approach to the permitting of the project: instead of pursuing a habitat conservation planning approach, the lead agencies are proposing a return to the more conventional approach of consultation and biological opinions. Without the habitat conservation plan, there are no long-term permits with regulatory assurances, so the economics of the project will have to be recalculated; the state said that analysis is expected possibly in August of 2015. For more background on this regulatory change and (briefly) how the Bay Delta Conservation Plan became Cal Water Fix, click here to visit the Delta tunnels section on the Notebook’s Guide to Delta and Statewide Planning Projects page. Just a fraction of the size of the original plan and environmental documents released in December of 2013, the revised documents present three new sub-alternatives, as well as other substantive changes. Only those sections where changes or modifications have been made that necessitate additional public review according to the California Environmental Quality Act (CEQA) and the National Environmental Policy Act (NEPA) are included in the recirculated documents. The revised documents are now available for review and comment; for your comment to be considered, it must be received electronically or postmarked on or before August 31, 2015. Click here for more information on how to submit your comments. Here are the revised documents, sliced and diced to make it easier to find the parts you are looking for. Scroll down to the bottom for a gallery of downloadable diagrams for Alternative 4A. 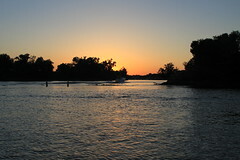 You can download all the documents at the Bay Delta Conservation Plan website. The Executive Summary gives an overview of the project, with sections addressing the background and context of the project, a brief description of the alternatives, summaries of substantive revisions, and a section on mitigation and adaptive management. California Water Fix is the state-given name for the preferred project identified in the new documents as Alternative 4A; the facilities described in this new alternative remain much the same as its predecessor, the Bay Delta Conservation Plan’s Alternative 4; there are three 3,000 cfs intakes on the Sacramento River in the north Delta and the 2,100 acres of ecosystem restoration required for mitigation. However, Alternative 4A does incorporate key changes, such as the reduction in power requirements by the elimination of the three pumping facilities; a reduction in construction and associated impacts on Staten Island; a reduction in water quality impacts; and the increased use of more state-owned property rather than private property. Further refinements include converting concrete sedimentation bays to earthen bays, eliminating the need for pile driving by 75% at each intake site, as well as reducing construction noise, truck trips, and the amount of concrete needed for construction. The new sub-alternatives analyzed in the revised documents represent a change in approach to permitting the project: The lead agencies will not seek the 50-year permits that would have accompanied approval as a Habitat Conservation Plan and Natural Communities Conservation Plan; the project will instead take a more conventional approach and seek incidental take authorization through Section 7 of the federal Endangered Species Act and Section 2081(b) of the California Endangered Species Act. Specifically, the habitat restoration and related conservation measures originally proposed with the BDCP would not be included with new sub-alternatives except to the extent required for mitigation. The habitat restoration measures instead will be implemented in a separate program, California EcoRestore, which will be implemented by the Natural Resources Agency. Included in the revised documents are two other new sub-alternatives. If one of these alternatives were chosen, like Alternative 4A, it would not be part of a Habitat Conservation Plan and Natural Communities Conservation Plan, and instead seek incidental take authorization through Section 7 of the federal Endangered Species Act and Section 2081(b) of the California Endangered Species Act. These alternatives are not likely to be selected. The documents also return to the originally proposed preferred Bay Delta Conservation Plan Alternative 4, and analyzed the changes on that proposal. It’s really a long-shot (if that) that this alternative would be selected as the habitat conservation planning approach has been abandoned, but nonetheless, as required by law, the changes have been analyzed. Those changes include the elimination of three pumping plants by changing to a gravity diversions, reducing the power requirements of the project, minimizing construction activities on Staten Island, and utilizing more state-owned property rather than private property. The documents are being recirculated because there have been revisions and new information obtained. In many instances, these changes are discussed in an essay, with each essay addressing a topic which received substantive comments. CEQA guidelines require that the project’s incremental contribution to the combination of significant cumulative effects from multiple projects be analyzed; a similar requirement exists for NEPA documents. This section updates and revises the cumulative impacts analysis presented in the Draft EIR/EIS; it also analyzes the cumulative impacts of the Alternatives 4A, 2D, and 5A. 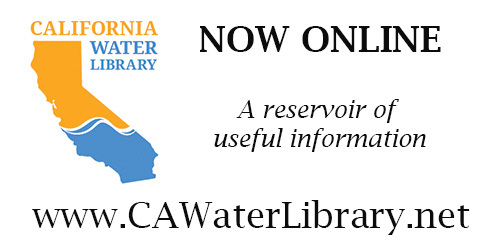 This section also includes a discussion of the California Water Action Plan, California EcoRestore, and the Sustainable Groundwater Management Act and how the roles of the new Delta conveyance facilities and habitat restoration fit into the context of statewide water management. Mapbook for modified pipeline and tunnel alignment. The mapbook depicts the interconnection points, permanent and temporary overhead transmission lines, bridges, canals, control structures, conveyance and intake pipelines, the operable barrier, permanent and temporary access roads, siphons, tunnels, tunnel material conveyors, forebay dredging areas, forebays, forebay embankments, intakes, subsurface easements, permanent and temporary surface impacts, potential borrow or spoil areas, reusable tunnel material areas, barge unloading facilities, concrete batch plants, fuel stations, and safe haven work areas. Note: These are the diagrams I thought most interesting and relevant, but there are more: see the “Section 4 Figures” section on the revised documents page for a complete listing. Click here for the Notebook’s road map for the revised documents. 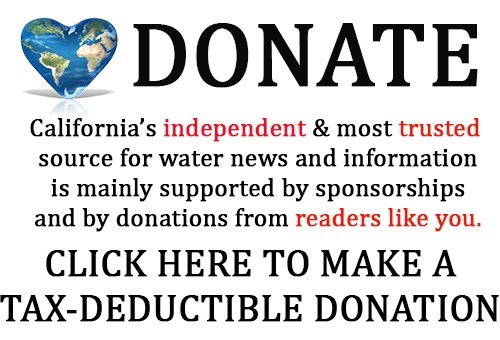 I do not run this website as an advocate or as an opponent of the Delta tunnels project, but rather a source of information about the project. In this post, the source of information is the revised environmental documents for the project. I have explained the regulatory change, and broken out the document into pieces, explaining what each section is and what you’re likely to find there. I have sliced and diced the entire environmental documents; I have jpeg’d all the charts; that which I didn’t slice, dice, or jpeg, I have noted and provided links to the full set of documents. I really feel I have not left anything out. In fact, hopefully I have made it easier for you and others to find the sections you want. The whole point of the road map and of this post is to make the documents more user friendly so people can get into the document and submit their comments. I invite every one – whether you are a tunnel lover, a tunnel hater, or somewhere in between, to review this project and submit comments by the August 31st deadline.